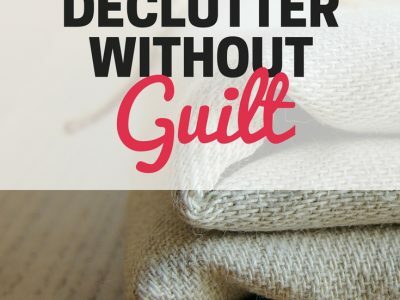 Do you have clutter that you just can’t get rid of because it makes you feel guilty? 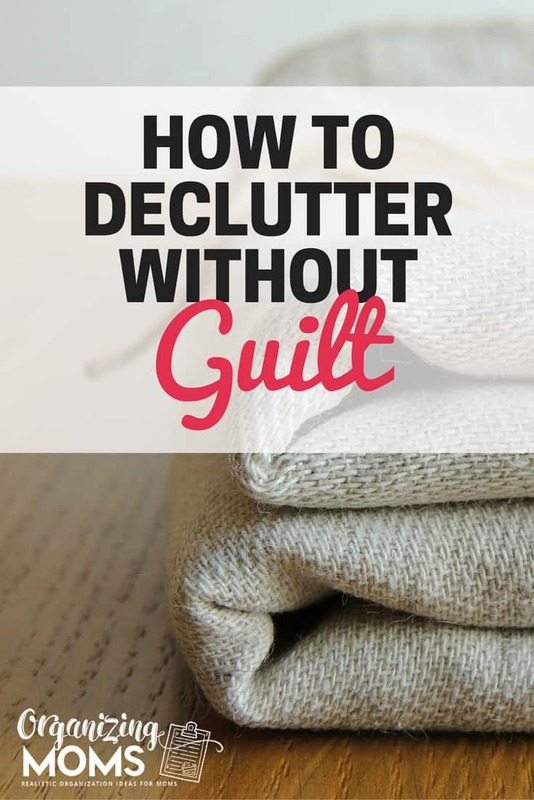 Having guilty feelings about decluttering is not uncommon – it’s nearly impossible to declutter without guilt of some kind. As an organizing blogger, I get a lot of emails from readers who feel such guilt about getting rid of stuff. They received the item as a gift, and they don’t want to disrespect the person who gave it to them. The item(s) is perfectly good, and they might need it someday. So, what can you do if you’re feeling guilty about letting stuff go? First, you need to know that having too much clutter in your environment is bad for you. It’s costing you money, and it’s damaging your health. If you are an adult living in your own space, you deserve to be able to set it up in a way that works best for you and your family. 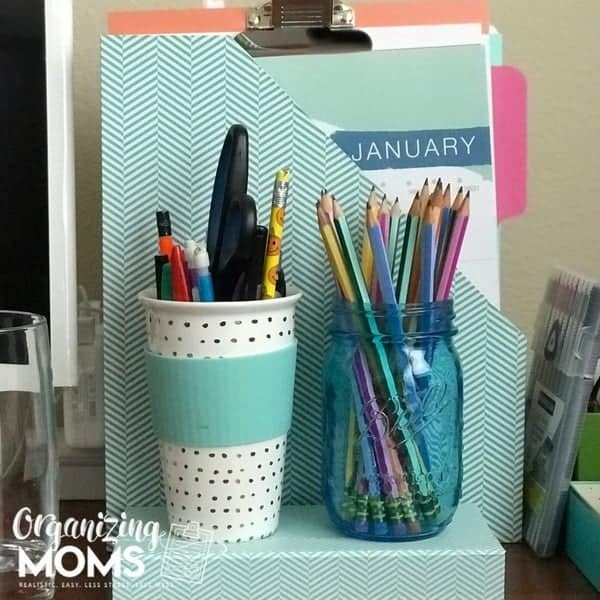 You deserve to be clutter free! This is totally understandable. You’re worried that you’ll hurt the gift-giver’s feelings if you get rid of the stuff they gave you. There’s a really good chance the person who gave you the item in question doesn’t even remember giving it to you. Do you remember all the gifts you’ve ever given? If the person knew that the item was causing you stress, they’d most likely want you to get rid of it! Is the item a hand-me-down? The person who gave you the item didn’t want it either! The truth is, you’re suffering because of this stuff. You deserve to make your own decisions about what you will and won’t keep in your home. Pass it on to someone else who really will use it. If it won’t cause you too much stress, offer to give it back to the gift giver. Donate it – let it find its way to someone who will use it. If it’s trash, throw it away. If you happen to have one of those relatives that likes to check up on the stuff you gave them, one strategy to try is boxing up all of the stuff from them. If you truly anticipate them coming to your house and inquiring about the vase they gave you 8 years ago, you’ll know where to find it if things go south. And, if they want their stuff back, you’ll have a box all packed up and ready to give to them. But, before doing that, you really have to consider if it’s worth the space and effort. What Should I Do With Decluttered Items? You’re probably right. You probably will need that item at some point in your life. But that doesn’t make it worth it to hold on to it for the rest of your life. It takes up space, you have to clean it, maintain it, rearrange around it. Is it really worth the space it’s taking up in your home? We recently did a clean out of our storage unit (yay! no more monthly payment! ), and I decluttered my office area. Between those two projects, I came up with two shoeboxes full of perfectly good pens and pencils. We write down stuff every single day. We’re going to need those pens and pencils! But, we already have way more pens and pencils than we need stuffed into junk drawers, pencil cups, purses and bags. Yes, we could save the pens and pencils and use them for the next fifty or sixty years. They could be passed down to future generations! But, we finally decided that we’re okay with having to buy a few pens and pencils in the future so we don’t have to save our boxes of old pens and pencils for the rest of our lives. Sure, you’ll have some regrets, but not nearly as many as you think! Having less clutter is definitely worth it. 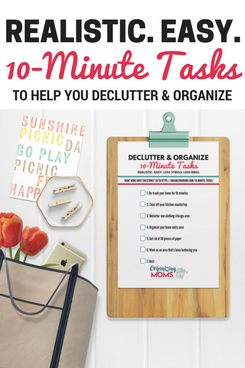 Declutter 101 – Where Do I Start?